Beautiful homes are meant to be lived in and enjoyed. Beyond their primary purpose of a roof over our heads, homes can also enhance and enrich us, fulfil all our needs and enhance convenience. As a homebuyer, wouldn’t you want the very best in luxury living? To begin with, luxury isn’t an attribute defined by how much money we splurge on our purchase. It’s very personal, subjective and depends on what we as homebuyers have come to expect from a particular space based on our own needs. 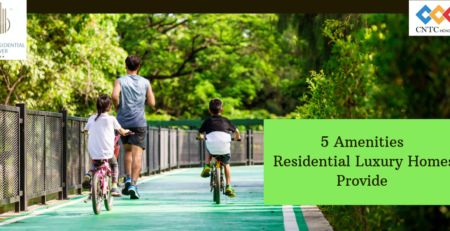 While it is difficult to arrive at one reason that gives homeowners this air of affluence, we’ve arrived at five features that take homes from loveable to luxurious. It can be the tangible price per square foot, or the intangibles such as the envy in the eyes of a jealous neighbour. Areas determine pricing based on several factors, including other commercial/retail establishments in and around, and upcoming larger projects in the vicinity. When a location is coveted, a luxury home becomes a statement of pride and ownership. Also, the fact that constantly expanding and growing areas, makes them much sought after. In the case of The Presidential Tower, the Orion Mall and World Trade Centre in the vicinity and luxury hospitality projects such as The Sheraton and The Taj Yeshwanthpur make it an imposing structure not just in terms of height but also by the company the tower keeps. People at the pinnacle of power don’t take success lightly and consider privacy their most personal privilege. This privacy can be afforded by the truly well heeled with private gardens, high walls, plentiful foliage, guarded entrances. In the case of CNTC’s The Presidential Tower, privacy is afforded within well-appointed spacious residences situated 162-feet up and away from the maddening crowd. When travel isn’t a daily chore in a congested place like Bengaluru, but instead amenities are at the fingertips is when luxury becomes tangible and a right well earned. From rooftop infinity pool, meditation terrace and party deck to a business centre and world class gym, the tower brings the world to the doorstep rather than making us go in search of it. Luxury can mean all of the above factors or still some more. Its value lies in the eyes of a homebuyer. 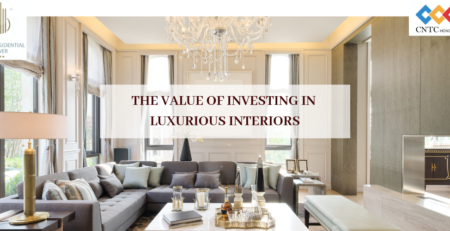 What ultimately defines luxury homes is whether they are built to inspire not confine, and whether they come to define everything we’ve worked for and can now indulge ourselves in.